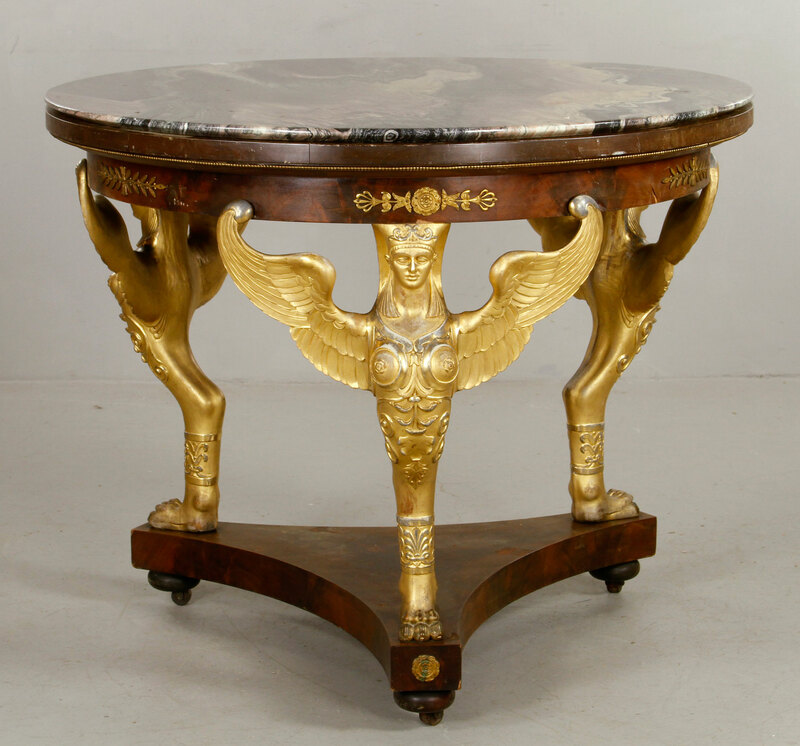 Add Some Glamour To Your DÉCOR With French Empire Antiques ! 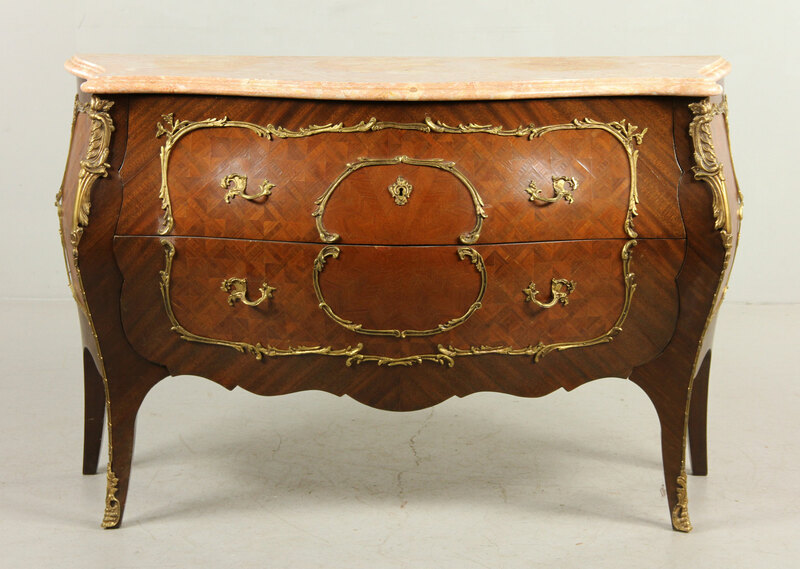 In honor of Bastille Day this week I wanted to share with you some beautiful French Empire style furniture that you often see in our Estate auctions and show you ways to use it in your modern DéCoR. 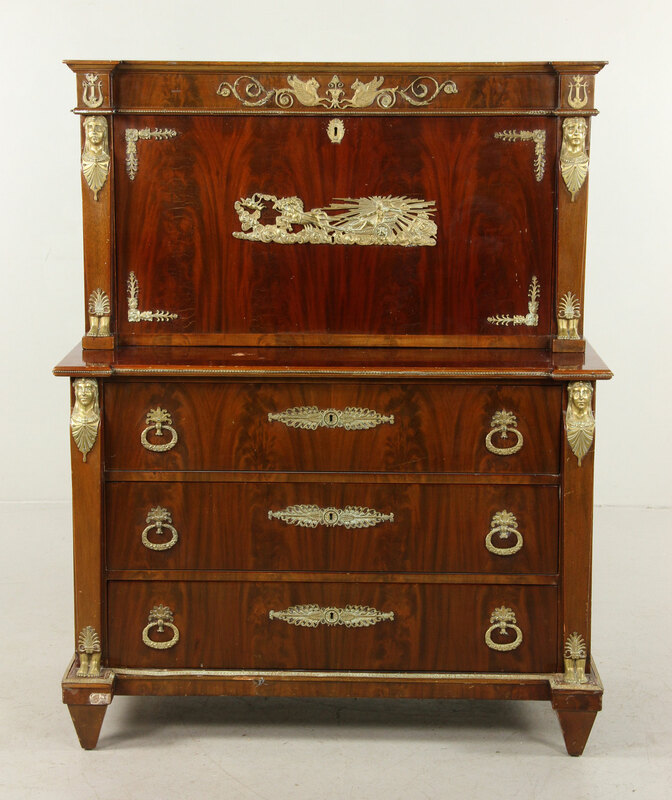 A little seems to go a long way with French Empire furniture but even one piece can add a lot of glamour to a room. I especially like to see pieces repurposed or used in a casual way that makes them look more modern. 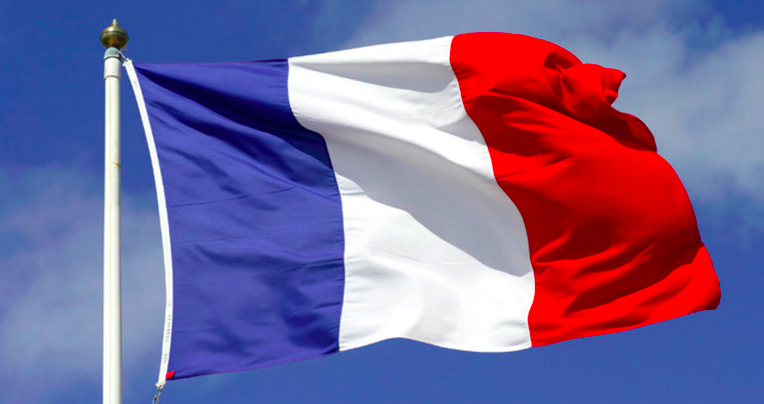 19th century French Empire furniture became popular during the court of Emperor Napoleon Bonaparte. It was furniture made of dark mahogany, fruitwood and yew imported from the African continent. 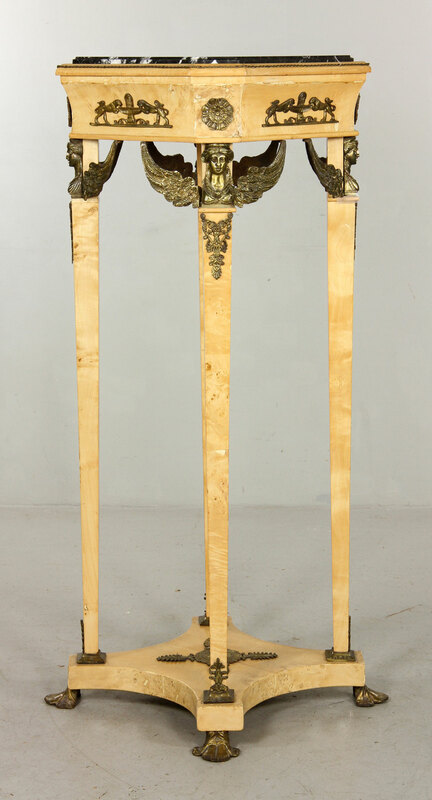 Highly polished woods were embellished with classical ornamentation of ormolu (mounts made of bronze). These embellishments were often in the forms of laurel wreaths, and urns, the European influence and many Egyptian motifs in the forms of sphinxes, winged cobras and serpents. This center table would add glamour and drama to any room. Imagine it in an entry hall or even as a cocktail bar in a living room…. 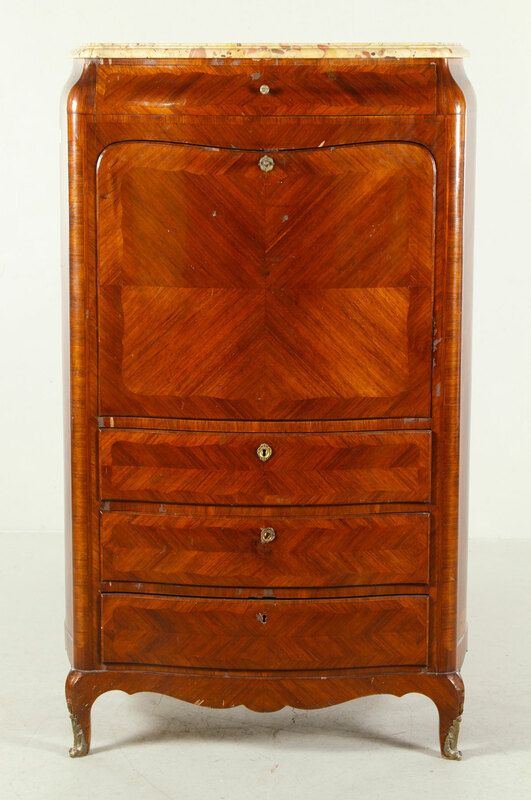 Some interesting pieces coming up in our August 9th auction include this drop down secretary which could work in a living room, again as a cocktail bar or as a fancy home office with your computer table as the drop down desk…or repurposed as a great looking television cabinet that can hide the screen away in your bedroom or living room. French bombe chests are being repurposed as vanities in a bathroom. 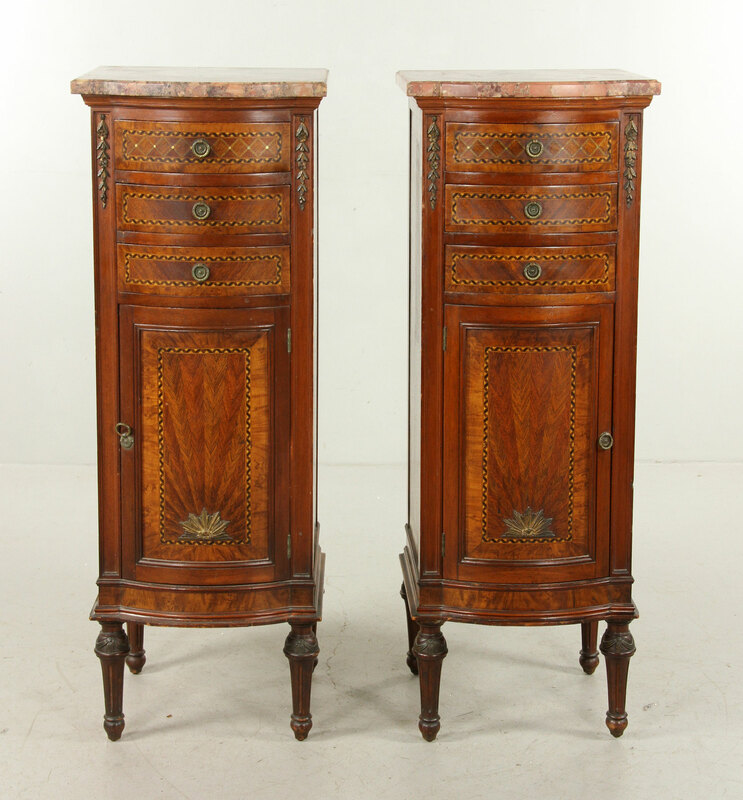 French Empire style bedroom side tables would make fabulous plant stands flanking both sides of an entry, liquor cabinets in a living room, storage in a bathroom or just as they meant to be as bedroom side tables. 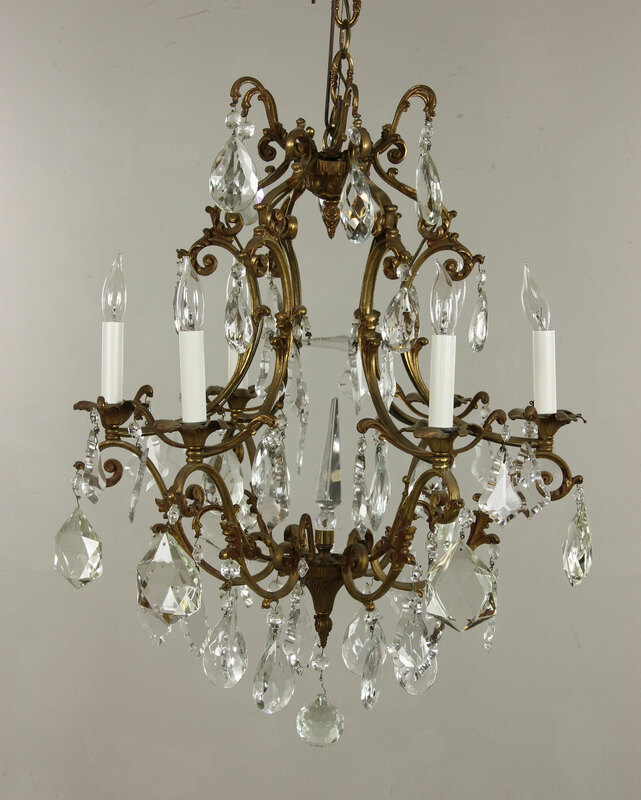 Or just add some instant drama with a French style wrought iron and crystal chandelier in any room in your home. Let your imagination go wild the next time you are antiquing or at auction and think of creative ways to use this beautiful furniture in your modern DéCoR ! Auction Finds for Creative Interiors and Storage Solutions ! Boston Lobsters Season 2015 KIck Off Party at Kaminski Auctions !